ISLAMABAD: Highlighting the UN agenda 2030 with its universal dimensions pertaining to economy, society and environment as well as global cooperation efforts in this regards, speakers at a seminar focused on the vibrant role of the universities in achieving sustainable development goals (SDGs) especially through producing good human resource. 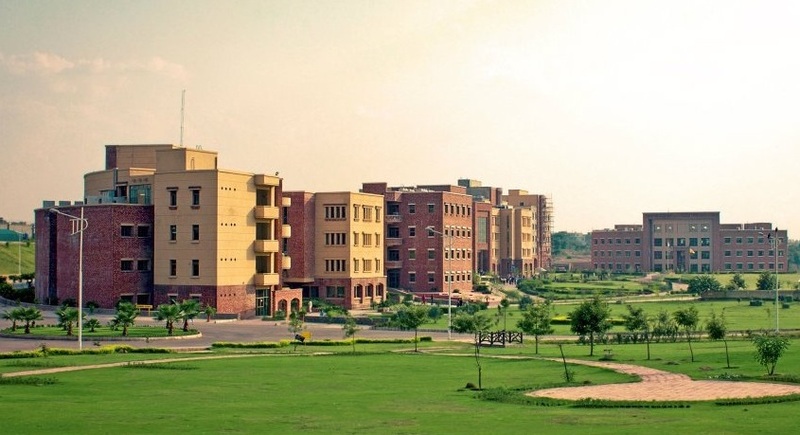 The one-day seminar titled ‘Sustainable Development Goals: The Role of Universities,’ held in Islamabad on Monday, was the first of its kind event of the COMSATS’ alignment of its strategies towards SDGs in its member states. For Pakistan, COMSATS (Commission on Science and Technology for Sustainable Development in the South) partnered with the Higher Education Commission of Pakistan. Vice Chancellors and other senior officials from around 100 universities from across the country gathered at the event. The purpose of the seminar was to raise awareness in the academia and research organisations on the promotion, advocacy and implementation of SDGs. Speaking at the inaugural session, COMSATS Executive Director Dr SM Junaid Zaidi highlighted the importance of the UN 2030 agenda for sustainable development across the globe. He explained that more than 80 per cent world population lives in developing countries, where challenges particularly food insecurity, epidemics, inequality and climate change are prevalent posing a serious threat to the sustainable development. “One of the main reasons of these challenges is the shortage of good human resource and top-class academic and research institutions in the south,” he explained terming universities as an important platform for cultivating practices for innovation and the implementation on SDGs. Dr Zaidi considered the COMSATS University and other centres of excellence spreading in three continents important tools for relevant efforts. He said that as the torch bearer of South-South and triangular cooperation in science and technology, the COMSATS has been working for the sustainable development in the south even before the goals were adopted. In his address, HEC Chairman Dr Tariq Banuri endorsed the existence of challenges as bottlenecks towards achieving sustainable development in Pakistan. He stressed the need for evaluating the kind of knowledge the universities were giving to students in addition to providing an encouraging environment for the promotion of innovations. He acknowledged that Pakistan was facing problems in achieving the sustainable development. However, he called for joint and concerted efforts on part of the universities to help a lot in achieving these goals. UN Resident Coordinator Neil Buhne also spoke on the occasion. Prof Dr John Thwaites, Chair of Climate Works Australia; Dr Max Paoli, Programme Coordinator, TWAS, Italy; and Dr Adil Najam, Dean, Frederick S Pardee School of Global Studies, USA, also spoke on the occasion. Dr John Thwaites highlighted the usefulness of the UN Sustainable Development Solutions Network (SDSN) in fostering the university linkages within the framework of the North-South cooperation. Dr Max Paoli emphasised the need for awareness, knowledge and understanding of sustainability and to develop a more responsible attitude towards the planet through knowledge. Total three technical sessions were also arranged in the later part of the event. The panelists spoke on various aspects of promotion and advocacy of SDGs and implementation: perspectives of education, research and development, and frontier technologies: scientific institutions driving innovation. Their views helped raised interest of the participants who asked a number of pertinent questions.